The museum is housed in the Church of the Assumption of the Blessed Virgin Mary. 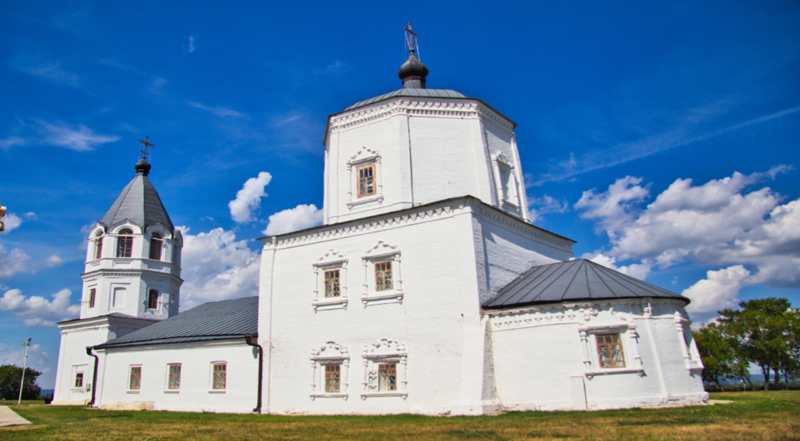 A stone church commemorating the Assumption of the Mother of God was erected in 1732-1734 in the centre of Bolgar settlement in the territory of a monastery founded in 1712. The monastery canteen and chapel dedicated to Reverend Cyril of White Lake the Wonder walker were erected in a later period after the construction of the temple section. The monastery was closed in the 1770s. The Assumption Church became a parish church. It was dismantled in 1845, and its bell tower was rebuilt in 1862. Temple architecture corresponds to the baroque style with elements of traditional Russian ornamentation. Assumption Church was built at the expense of Kazan merchant Ivan Mikhlyaev and the bell tower – on the money of the parish. It was closed not later than the 1930s. 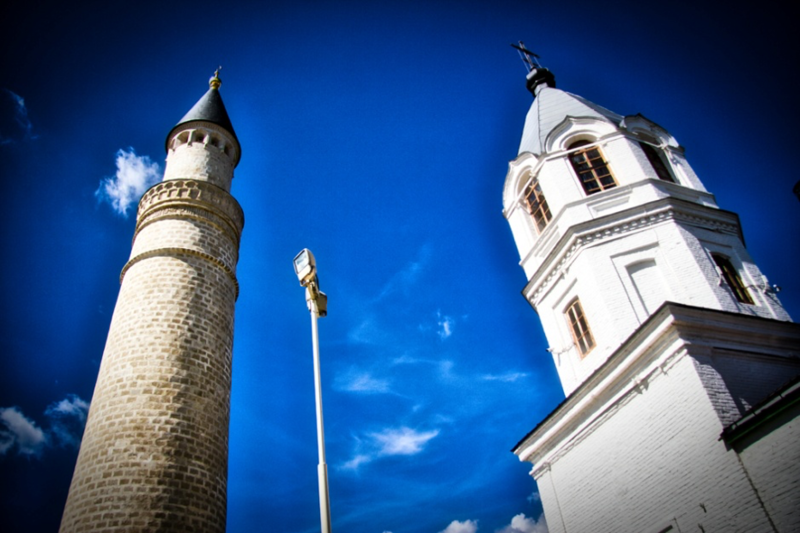 Today the temple is restored and incorporated in the Bolgar State Historical and Architectural Museum-Reserve. 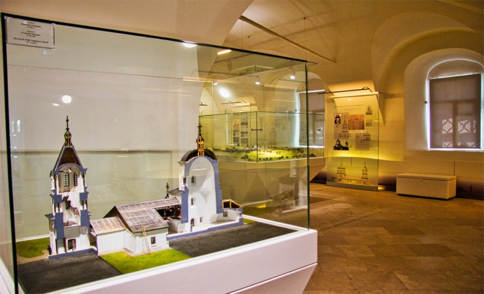 The museum is mainly focused on the history of the Assumption church. It visually represents the construction of the church, its various architectural features and its use in different time periods through photographs, illustrations and architectural models. 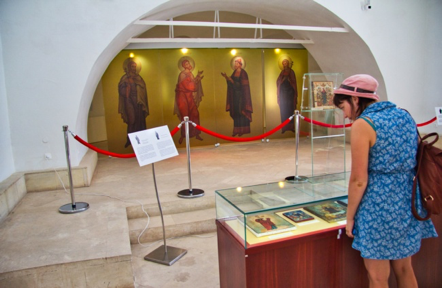 The museum also displays various religious items related to Christianity. The museum put up the history of the church on the context of other visible monuments of Bolgar Historical and Archaeological Complex. There is a collection of a series of icons illustrating religious figures and events, all made of wood and metals. A series of photographs have been presented here which shows the continuous history of the church architecture and its use with a list of people associated with the church. The museum can be visit independently or there is many combined guided tour plan that can be taken from the visitors center. 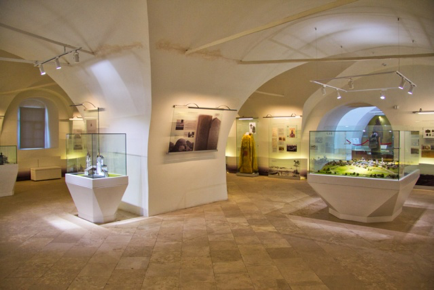 The museum offers a wide range of souvenirs to the visitors including brochures on the Bolgar Historical and Archaeological complex, ceramic ware featuring the symbols of the whole complex. You can collect these from the counter of the museum. For children, there is a combined package of guided tour to explore this museum along with the other monuments of Bolgar Archaeological and Historical Complex. The museum is a good example of a ‘On site’ museum with preserving and interpreting its contextual history. The subject that is attractive and very interpretive is the display of many historic photographs about the different phases of the construction and use of the church. It also displays a series of icons, which were preserved in the church. 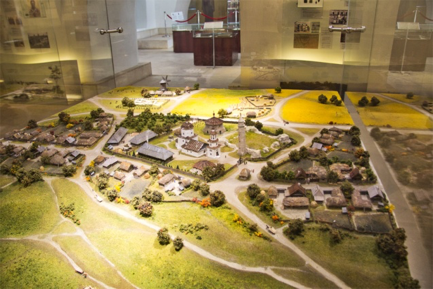 Also it was interesting that the museum has put a model of the entire Bolgar Historical and Archaeological Complex. The illustration of the associated person with the history of the church and also the famous persons visited the church is also interesting. Visiting this museum will give the visitor a clear idea about the function and history of the church and also its association with other monuments of Bolgar Historical and Archaeological Complex. Opening hours: every day from 8:00 to 17:00. Services: photo- (20 rubles), video shooting (30 rubles).